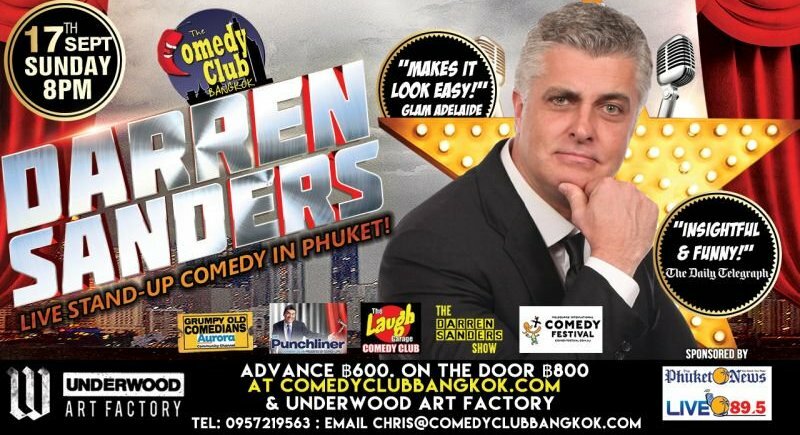 Stand-up comic Darren Sanders is coming to Phuket. Now he is bringing his comedic skills to Phuket at Underwood Arts Factory for one night only on September 17. Darren has performed on TV shows (The Punchliner Comedy Club, Stand Up Australia, Rove and In Melbourne Tonight) and headlined all over the world at comedy clubs and corporate events. 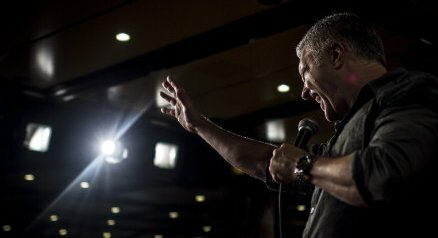 In 2012, The Darren Sanders Show, a late night chat show, aired nationally on free-to-air and cable television in both Australia and New Zealand to favourable reviews from critics. Darren has also produced award-winning TV comedy programs such as Talking Comics with Dazz and Gazz in 2009. Darren has been a part of panel discussion shows on Studio 10, The B Team with Peter Berner on Sky News and also on radio station 2UE’s Lunchtime Lowdown. He has appeared in A Place to Call Home, Underbelly 3 and the feature film by Working Dog Any Questions for Ben?, where he had the honour of having the last line in the film. He can also be seen playing himself in the movie Shooting Goldman. In 2006, The Dazz and Gazz Radio Show on TV beamed out in Sydney, Melbourne, Brisbane and Adelaide. In 2009 Darren Sanders and Garry Who joined forces again to produce Talking Comics with Dazz and Gazz, which took out Best Comedy Program at the 2009 Antenna Awards in Melbourne. 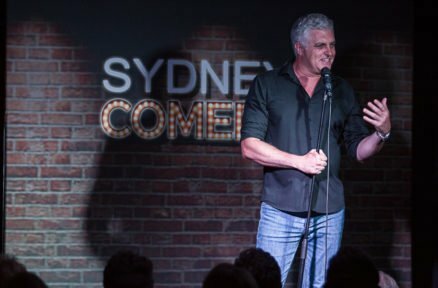 Between May 2001 and September 2013 Darren operated and ran The Laugh Garage Comedy Club in Sydney and in 2017 he opened the Sydney Comedy Club located at Luna Park. Darren can be heard along side fellow comedians Garry Who and Mick Meredith on the podcast Grumpy Old Comedians. See Darren perform live stand-up comedy in Phuket at Underwood Art Factory on Sunday September 17. Advance tickets: B600, tickets on the door B800. 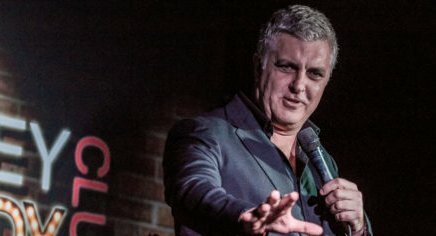 For more information visit: comedyclubbangkok.com and underwood-phuket.com. The Phuket News and Live 89.5. Yes, Thanks for the entertainment! "Hysteric audiences",something you can find daily in the comment-section here!Even stand up comedy you will find here.And it's all for free!